Since discovering Foreo, I have to say my beauty regime has never been the same … and this is coming from a girl who can’t be bothered about beauty products. I do not have space for them neither do I have the time required. 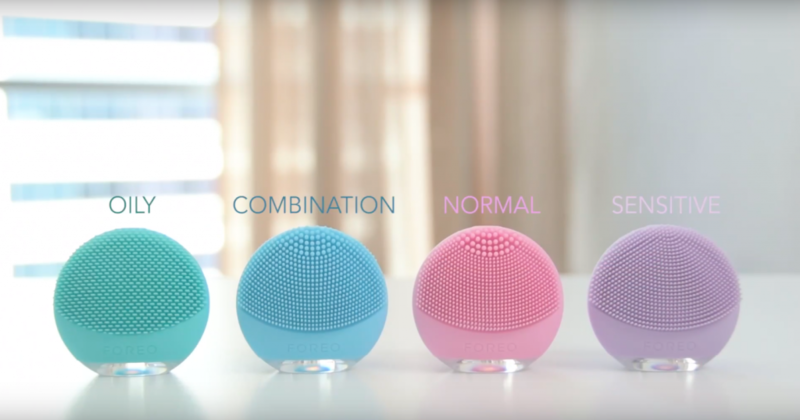 Foreo is the brand focused on bringing a new standard of high-end beauty and wellbeing solutions to a wider audience than ever before. For too long, professional-level treatments have been the privilege of the wealthy few, but with Foreo it is affordable and within the comfort of your home. I was first introduced to Foreo when I used their UFO Smart Mask Treatment which combines advanced dermal technologies, exclusive Korean mask formulas and LED light therapy (usually exclusive to dermatologists) to transform your complexion in just 90 seconds. (3)Click start on the app to begin, this will activate soothing music from the app allowing you to relax. Glide UFO across dry skin for 90 seconds or until the music stops. The result is out of this world, you can feel and see the difference instantly. It is compact, fun to use and works instantly – that’s a thumbs up from me. The Luna Play plus gives you the perfect 1 minute cleansing routine by combining the use of a deep cleansing brush, with T-Sonic pulsations diffused through soft silicone touch-points to gently unclog your pores to remove up to 99.5% of dirt and oil, dead skin cells and makeup residue. Adding the Luna Play plus as part of your twice a day cleansing routine will ensure your pores are unclogged, blemish-causing impurities are removed, dead skin cells are cleared away, pore visibility is diminished and absorption of skin products is enhanced. The facial brush has 2-zones to suit every skin type, the finer touch-point is perfect for cleansing sensitive/normal skin on larger areas like the cheeks and forehead, while the thicker touch points provide a deep and precise cleansing on areas like the T-zone. (1) Apply your regular cleanser on your skin. Wet the LUNA play plus and turn it on. (3) Rinse and dry your face. Apply your other skincare products, if any. It is compact, affordable, saves time and has better result than your the basic cleansing routine. THIS ARTICLE WAS FIRST PUBLISHED IN THE BEYOND BEAUTY ISSUE OF GLAM AFRICA MAGAZINE.